The FDA says they will continue to evaluate the MDRs filed with the agency for these devices. In the meantime, it is important for patients to understand the risks imposed by these tools when used in their surgery. Many surgical procedures require the use of surgical staplers to shorten procedure time compared to manual suturing. 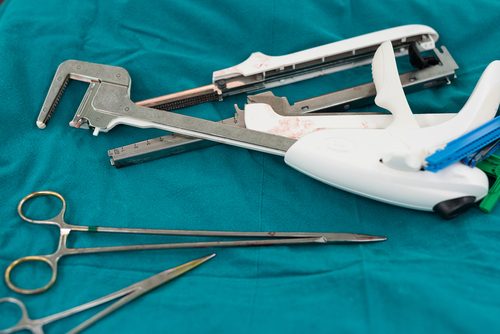 Physicians who commonly use these devices may work in gastrointestinal, gynecologic, and thoracic surgeries to remove part of an organ but also to cut through tissues, and to create connections between structures. The FDA says if a stapler is misused or a staple malfunctions, a patient may require exhaustive unplanned surgical interventions, which may lead to other painful complications such as bleeding, sepsis, tearing, increased risk of cancer recurrence, and death. Medical errors are now the third leading cause of death and Johns Hopkins patient safety experts says are responsible for more than 250,000 deaths per year in the U.S. If you were injured by a mistake made by a doctor using a medical device, you may need to take legal action before you can begin a full recovery. Speak with an attorney as soon as possible. Keep all information pertaining to the injury, including a journal of any pain and suffering. Victims generally have about two years to file a claim against a doctor or hospital. Your attorney will review and evaluate your situation to determine how to proceed. In some cases, you may need to file a lawsuit to recover any losses caused by the injury. You may have expended a great deal of money for medical treatment to resolve the mistake made by the doctor. You may also have lost time from work and may have suffered a great deal of pain. These are items that may be recovered in a lawsuit. If you have experienced medical malpractice in Chicago or throughout Illinois, take action and immediately contact Levin & Perconti online or call us at 877-374-1417 or 312-332-2872. A free consultation with an experienced Chicago medical malpractice lawyer can only help you during the recovery process.